This is a short circular walk around Widdop Reservoir providing good views over the reservoir and surrounding upland moors. This walk is mainly on the flat with one fairly short steepish incline. The walk is mainly on a good path and track, but it can be pretty wet with one part quite rough needing good walking boots. There are no stiles on the walk but there are two gates that open easily. There are no facilities on the route, but the walk ends at the starting point at Widdop Reservoir you can get the 906 back to Hebden Bridge (1½ hour between services) . However if you have time to wait, you may want to walk back along the road to the Packhorse Inn where you can also pick up the bus. There is usually no mobile signal on this walk. It can be windy at this height and there is very little shelter, so take warm/wind proof clothes even if it’s a sunny day. Walking boots are advised. 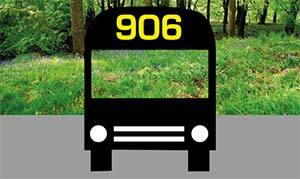 This walk starts at the 906 bus terminus at Widdop Reservoir car park. From the car park you take a clear wide path towards the dam, passing through a gate, over a footbridge and up a few steps to the reservoir dam top. Turn left and walk across the dam to the other side where you turn right. Go through the gate (signposted Pennine Bridleway) by the pump house and walk ahead with the reservoir on your right. After 200 metres, ignore the footpath http://healthsavy.com/product/flagyl/ branching off uphill to the left and continue along the main track passing a conifer plantation to your left. At the end of the plantation, ignore the smaller track going off to the right heading for the water and continue the well made track up quite a steep incline for 1km (there are good views of the reservoir back over your right shoulder). This section of the path, which follows a wall, slowly descending towards the far end of the reservoir, is rough and can be wet. There are several patches with rough stones to get through the wettest sections. After about 1km, at a junction, turn right onto a path sign- posted Widdop Dam which descends to cross a footbridge. After 50 metres, turn right on a track heading towards the reservoir and after 200 metres, the path goes between a wall and a drainage channel. Cross over the channel on a footbridge and turn left. This is perhaps the most pleasant part of the walk. You have the drainage channel to the left and the reservoir to the right and even a few stunted trees trying to form an avenue. After 500 metres you reach a track where you turn right, heading towards a cluster of houses. Just after the houses the track bears left over the channel, heading to a gate in a wall. Go through gate and turn right along the road for 250 metres back to the 906 stop where you can catch the bus back to Hebden Bridge. If you have a long wait for the next bus, you have the option of walking about 1 km along the road to the Pack Horse Inn.